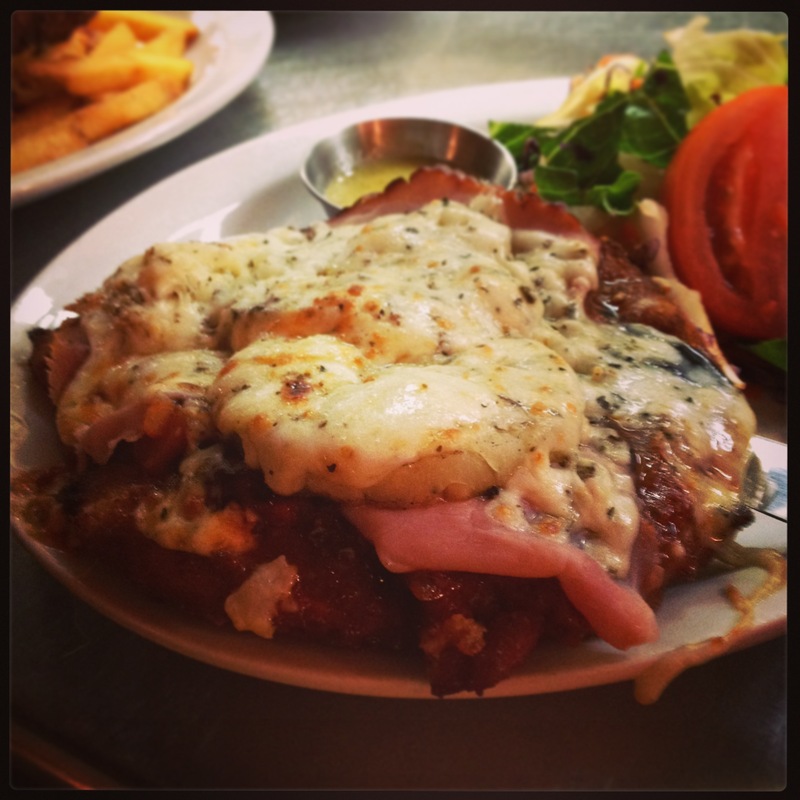 There are times in life when a regular parmie just isn’t enough. Your stomach yearns for something exotic, with a foreign flavour. 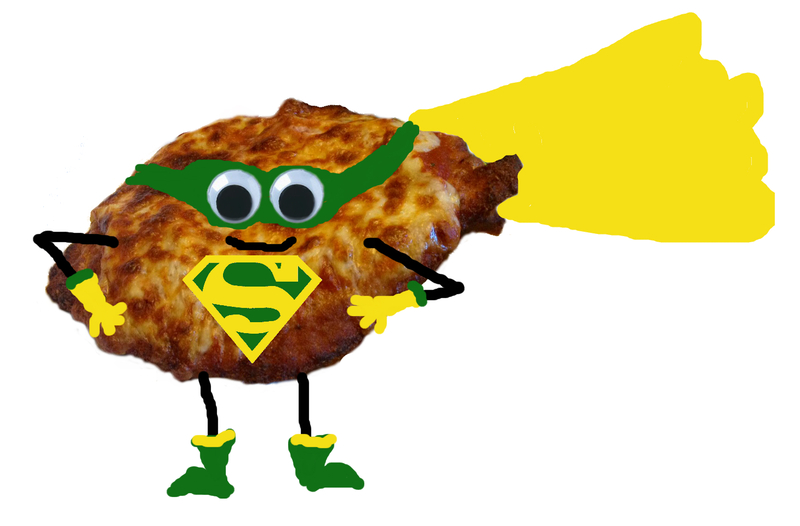 Well look no further, grab your Parmie Passport and set sail for flavour town, with these delicious super-charged parmies! 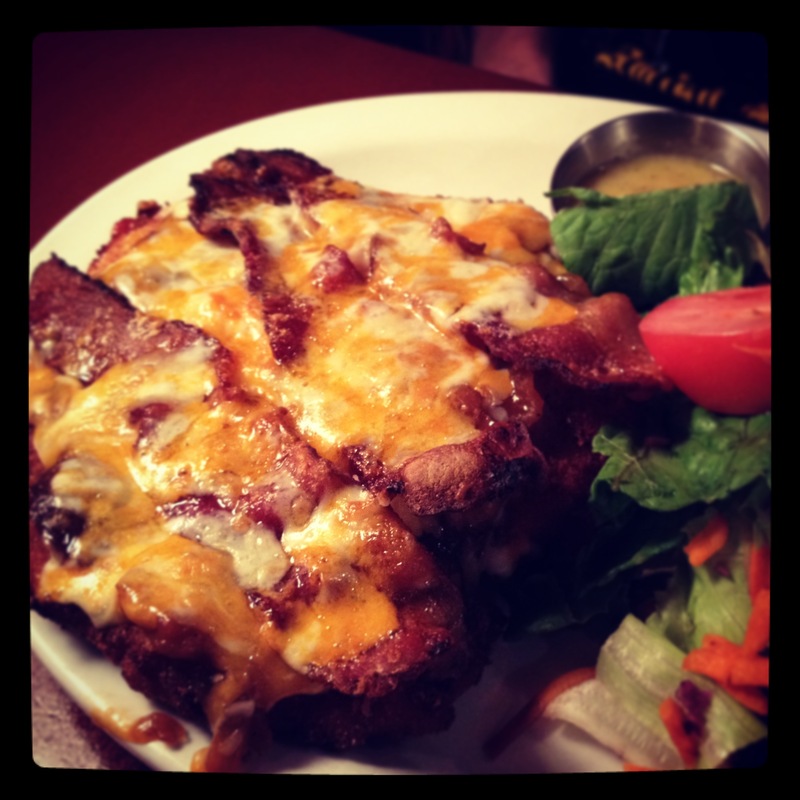 Outback Jack – Smokey BBQ sauce base, caramelized onion, bacon and cheddar. Chinese Chook – Onion, red and green pepper & pineapple with our special Asian sauce. Bollywood – Mild curry gravy with cauliflower & potato topped with paneer. The Pom – creamy mashed potato base topped with gravy & a port banger. 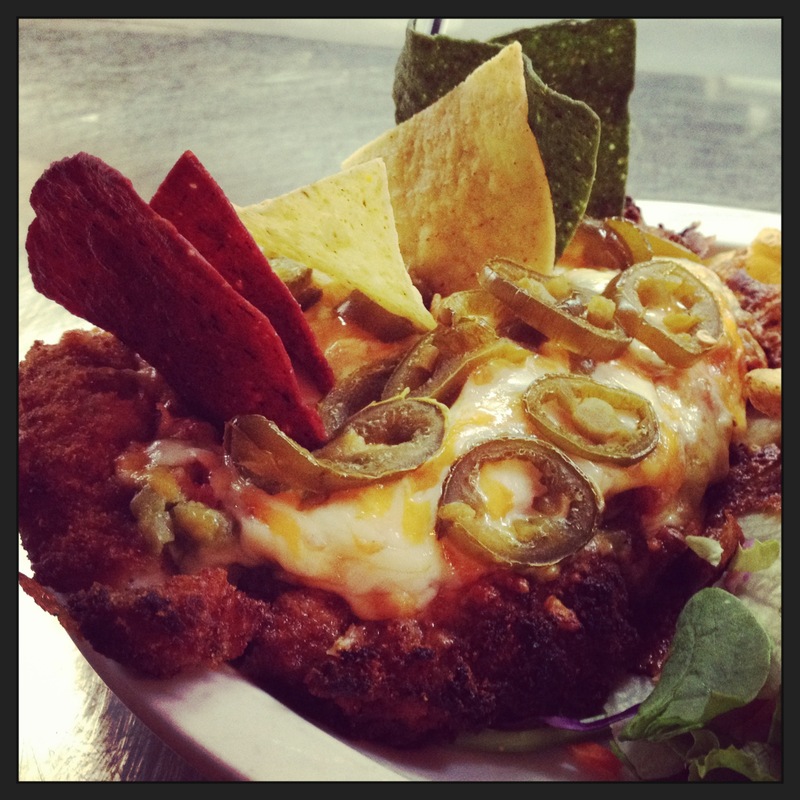 Parmie Gonzalez – salsa base, guacamole, jalapeno, corn chips and nacho cheese. Aloha – Teriyaki tomato paste base, ham, pineapple chunks and mozza. 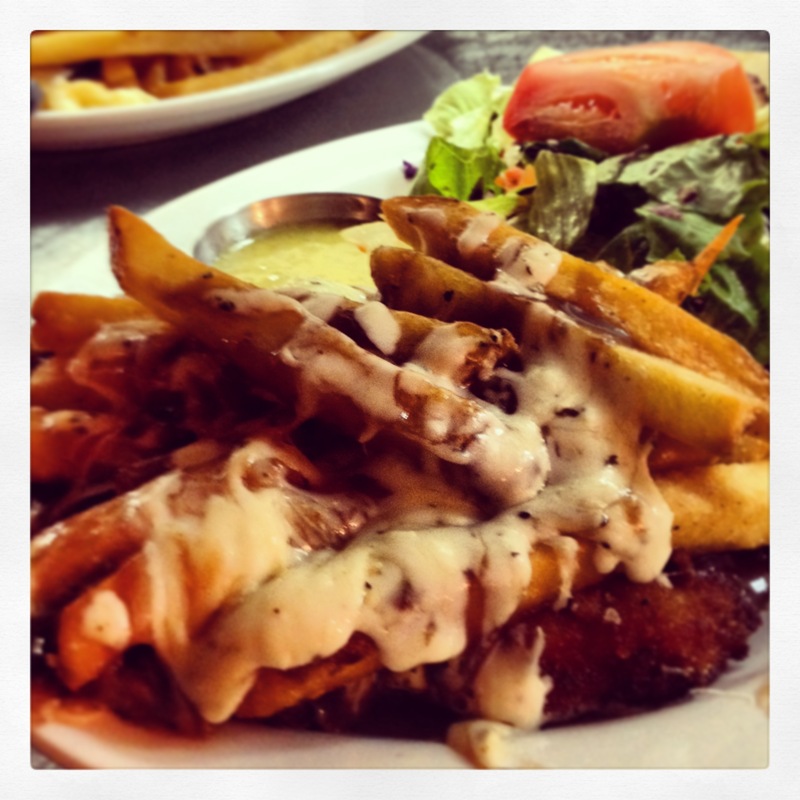 Oot and aboot – Gravy base, fries and mozza. Uncle Sam – mac ‘n cheese topped with bread crumbs for a crispy crust. Greek Goddess – sundried tomato base, black olives, red onion, tomato and feta. 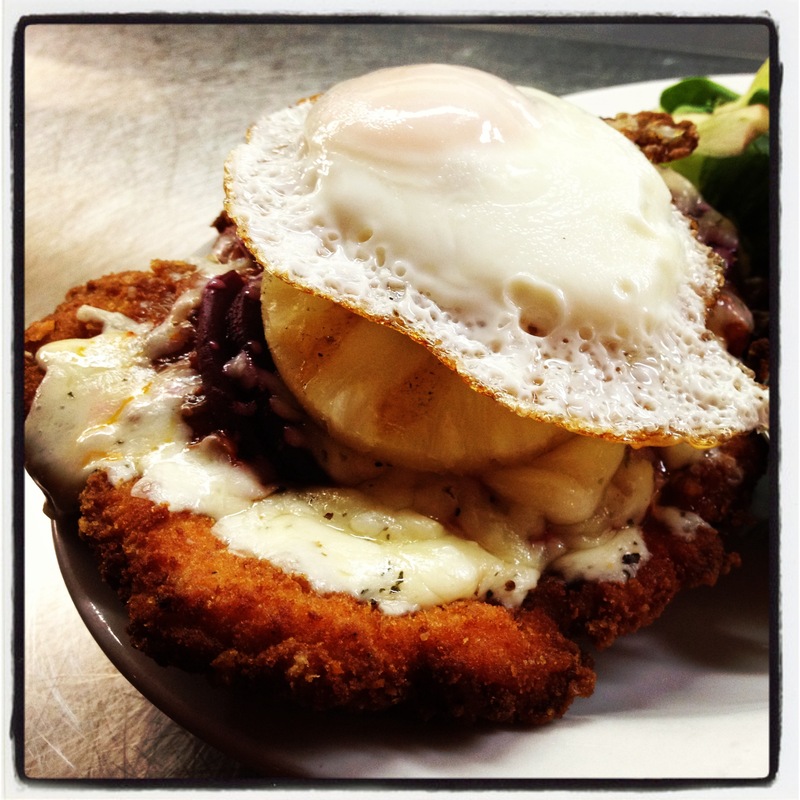 Thunder from Downunder – tomato base, beets, a pineapple ring and mozza, all topped with a fried egg.